My 96 Tracker (2WD convertible) has oil leaking from around the oil pan. I plan on removing it and reinstalling it this weekend. From what people have told me, they do not use an oil pan gasket - instead they use some kind of sealant. However, I do see some gaskets online specific for my model. Does anyone recommend using the gasket? Or just using some RTV sealant instead? Also - is removing / reinstalling the oil pan straightforward as just removing the screws that hold it in? Or are there any other steps involved? fact 2, is if you use the early gaskets on 1996+, the CKP goes dead. due to the gasket causing the CKP sensor to stand off from the block and fails. did you just get this car? just bought it? and curing leaks now, or did it leak for the last 60,000 miles.? if yes, then I bet it's not the pan gasket, Ok? valve cover, gasket goes hard, and leaks, on any or all 4 sides, gravity makes it go down., a 60k service point too. where is yours leaking? now< all 4 sides of engine or just one, side? now? front crank seal leaks. but is VC leaking. and last the pan, always last if not molested before. (very rare if original) blame me last, for sure. then drive, look , drive look, find it. saves a bunch of hard work doing the pan then finding that now the pan really leaks and did not before. if found ,like all are now,) that all the distributor seals leaked. the last to stop leaking , oddly as hell was the harness loom for the CKP was full oil and dripped from months until dry. the engine has a gravity effect and windage, effect and combine. so even upper seals leak down and to there rear or even and a chaos way,,, fooling just about anyone, until you learn this fact. 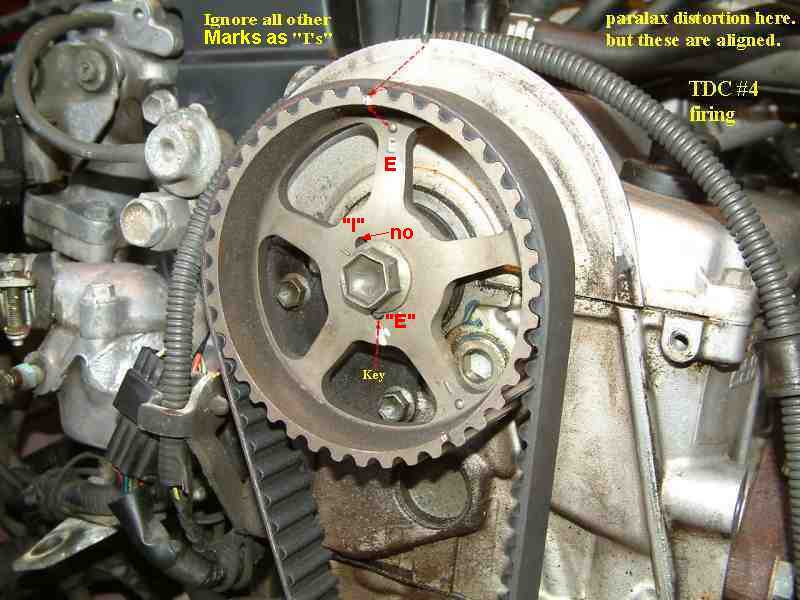 if you did the 60k tuneup,(service point 60,000) miles with a new timing belt. no 96 has good a VC or distributor seals never replaced , not one. impossible to be good this old, very impossible. 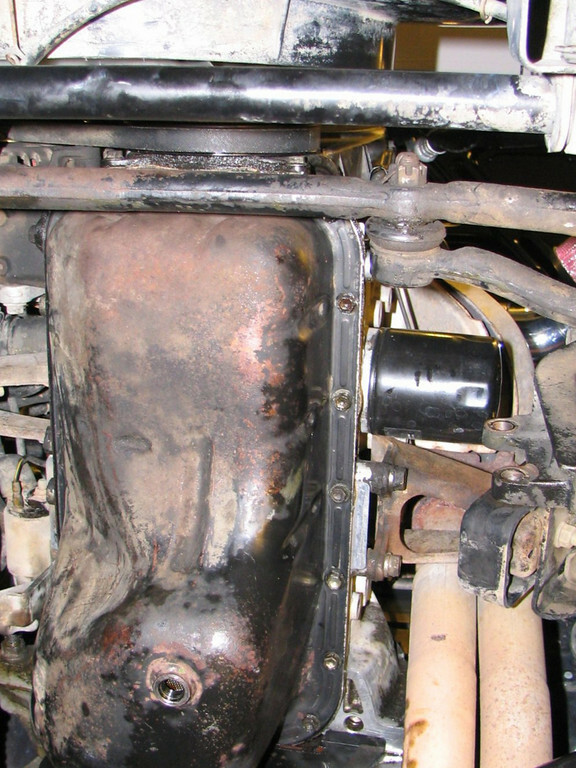 EVEN THE OIL FILTER CAN LEAK, SEE SOME WITH 2 GASKETS, (INSTALLED WRONG) OR JUST LOOSE. Thanks for the detailed reply! My 96 tracker 2wd is a 5 speed manual. I'm pretty certain the leak is coming from the pan. When I look at the pan, I see oil seeping from the screws / sides. then is 1 side show a leak look above the that side on the main block side, is the sides of the engine wet? oil wet? seen on my hard to find parts page. I,m not saying the pan does not leak , what Im saying is every person here that replaced the pan sealant with a new sealant the leak remained. if the last person put gasket there, (wrong idea) sure it can leak, sure. so look for signs of gasket there from last guy, fooling around. The gaskets sold are for 89-95 only, some are thicnk some are thin and if thick is used the CKP fails, the CPK lands on the Pan rim and not the block so if a gasket is used, oops. , if the pan is still stock and not hit by rock . removing the glued on pan is not easy at it sticks there super strong , only using metal putty knifes hit at the RTV junctions to break the seal , allowed it to come off easier. all this complexity is prevented if you get the engine clean first. new VC gasket too, and stop the distributor from leaking.